I am an impatient person. I hate to admit that! I try to be patient and in many areas I have had great success overcoming my natural tendency to want instant results. Yet, I find that I am the least patient when it comes to the areas of progress and improvement. Let me explain. Last year, I took part in a personality profile test that was fairly comprehensive. Most of the results were not a big surprise to me. But one of the results actually caused one of those, “Aha!” moments you hear about. You know, the head smacking, “So that’s why I act that way!” moments. The result showed that my primary internal value is Improvement and Progress. The up-side of that internal value is that I will always keep to trying to improve in whatever area I am focused on, and I will do everything in my power to make the world around me better. I think you can probably already see the down-side to my internal value. In desiring to always improve, I set the bar astronomically high for myself all the time. No low-bar days allowed! And as you can imagine, I also pursue the goal of helping the people in my life in their improvement and progress. You can imagine how much fun that’s been for my kids and husband! And the increased down-side of this internal value is the lack of patience for results while things are “in progress”. Apparently, I am not alone in my struggle to “live and let live” and to allow people to grow and change at their own pace. Once I see a better way for someone, I have to fight the urge to control them into it. I have had to work very hard at letting my children live their lives their own way, especially as they bump along into adulthood and the ramifications of their choices become more permanent. But having this understanding of myself has actually been very helpful. When I see that impatience start to rise up in me, especially in areas that are not mine to control, instead of beating myself up about my reaction, I give myself grace and show myself some kindness. I remind myself that my internal value is God-given and I have the choice to rein it in and use it for good. I am not powerless over the inclination to improve everything around me or over the desire to see everyone make progress. It’s a good quality that God gave me and I will let him chisel it into the shape he wants. I know people whose internal value is Justice. They make wonderful lawyers and evangelists. But they make terrible disappointed spouses or friends if their internal value gets hijacked. They become bitter when life throws a few short straws their way. Nonetheless, I have seen some of those people give their hatred of injustice over the Lord and allow Him to soothe their raging hearts. I have seen them turn that weakness back into the strength it was created to be as they use it to clothe the poor and house the homeless. I know other people whose internal value is Mercy. What a wonderful gift to have as an internal value. But I’m sure you can already see how mercy used unwisely turns into enabling. Pretty soon the merciful one is a door mat for a cast of abusers who take advantage of that person’s internal drive to let mercy bring heart change. However, I have seen some of the most merciful people turn that internal value back into the strength it was created to be. They have set healthy boundaries once again, and learned the godly art of showing mercy to the broken and humble and using wisdom for everyone else. 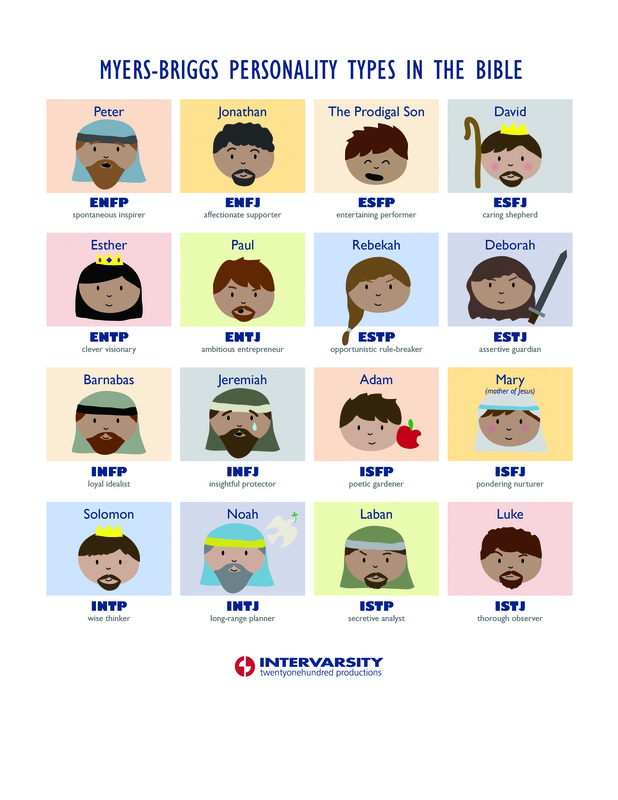 I was not surprised at all to find out that David in the Bible has the same personality style as me, according to one of the personality tests that I took. My Briggs-Myers type is ESFJ, as is David’s. (I guess, this test is much older than anyone thought!) According to our synopsis, ESFJ’s wear our emotions on our sleeves, which makes us expressive worshipers. Check. We are strong leaders and delegate easily. Check. We are people-people and we abhor conflict. Check! We enjoy being in charge. Check. We have a strong sense of right and wrong that conflicts with our equally strong “rescuing” side which often causes us to make poor judgment calls in areas requiring decisiveness involving people close to us. Check and check! David was a tremendous leader on the battle field but a horrible leader in his home. How can that be? Well, when you understand the conflicts within our personality style, you can see why that happened. I see the same issues in my own life. So does history have to repeat itself? No, thank God! I have time to adjust and ask the Lord to redeem my mistakes and failures while shoring up the weak places in my natural temperament. Do you know what your internal value is? Do you know the facets of your personality that drive you and hinder you? I believe that it’s good information to have as long as we recognize that it’s our loving heavenly Father who has created us and that He has a plan for our strengths and redemption for our weaknesses. If you do choose to do a personality test, I hope that it will lead you to be kinder to yourself and to coach yourself as patiently and diligently as you would someone else. 5 For this very reason, make every effort to supplement your faith with virtue,[a] and virtue with knowledge, 6 and knowledge with self-control, and self-control with steadfastness, and steadfastness with godliness,7 and godliness with brotherly affection, and brotherly affection with love. 8 For if these qualities[b] are yours and are increasing, they keep you from being ineffective or unfruitful in the knowledge of our Lord Jesus Christ. I know there are other good ones, so feel free to share the links with me!